The philosophy of Kopania u.Co. 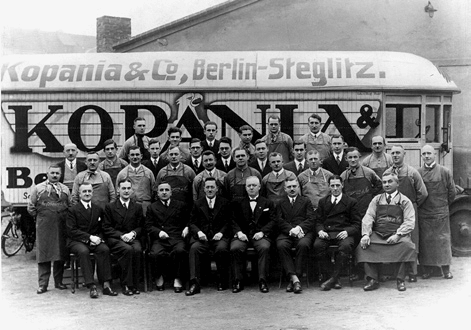 1908 In 1908 the furniture removal business Kopania u.Co. was founded. The company has been in family ownership since its foundation, currently in its third generation. 1930 In the 1930's relocations were mostly performed using horse-drawn carriages. For long-distances relocations rail cars were used, which were not always loaded with care. Today We transport furniture safely and quickly in air-suspended special trucks. The relocation goods are loaded packed securely in modern packaging materials. We are proud of our employees and their personal commitment to the wishes and requirements of each customer. Our employees are our capital, which is why we promote their development with training courses and further education. We strive to offer optimal service at reasonable prices. We are not cheap, but more cost-effective than you think. We maintain and expand our international partner network and make use of innovative methods and technologies in order to always offer our clients the best service.